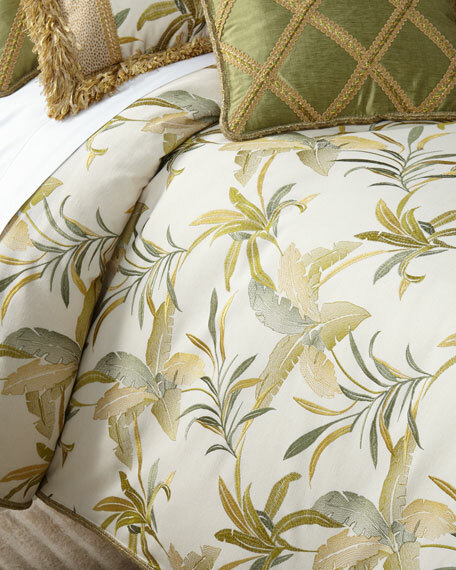 Duvet with botanical leaf embroidery. 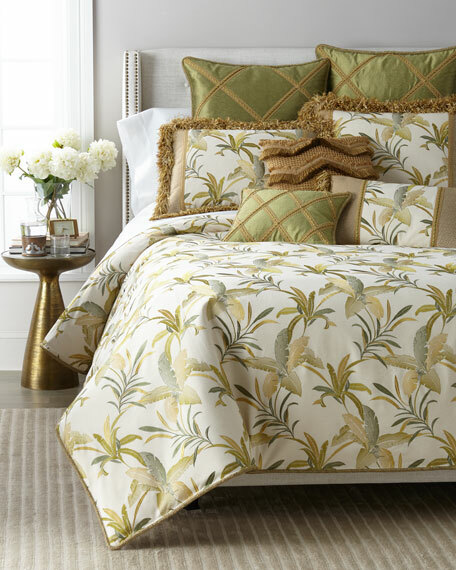 Sham with golden ribbon lattice pattern. 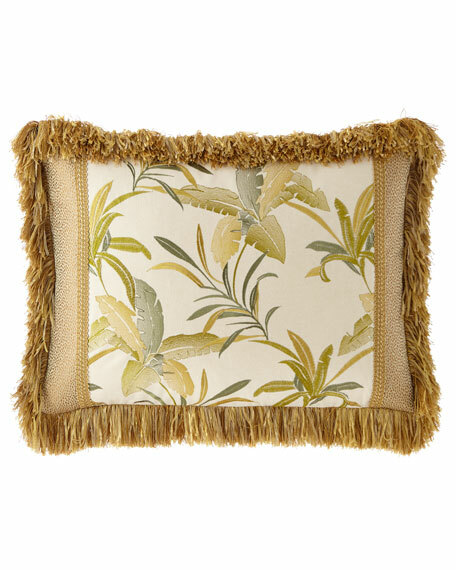 Pieced sham with embroidered botanical center. 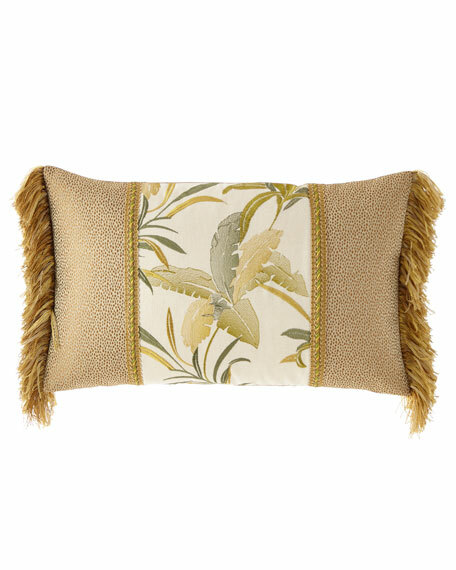 Pieced oblong pillow with embroidered botanical center. Gold fringe finish on ends. 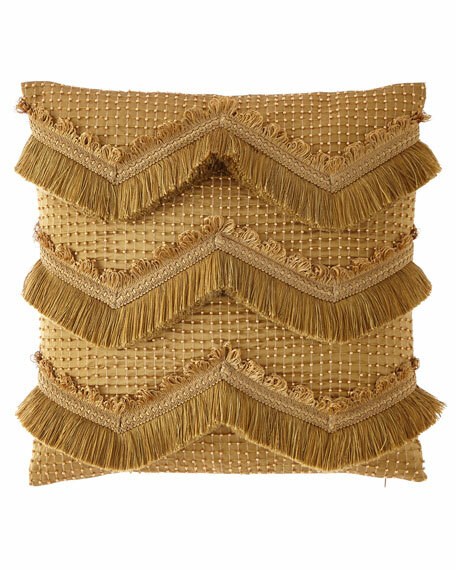 Beaded pillow with gold fringe in chevron pattern. 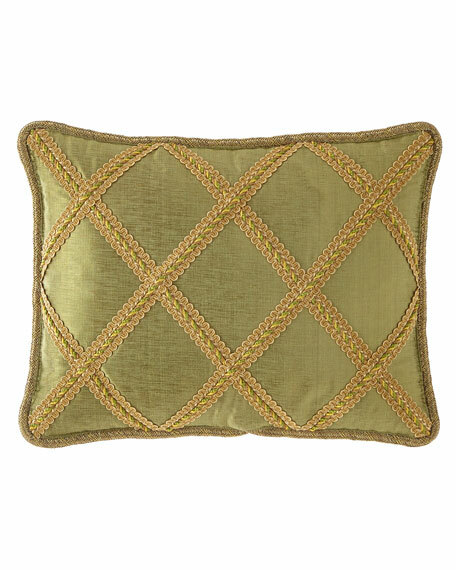 Pillow with golden ribbon lattice pattern.